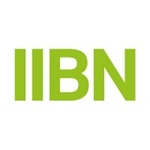 After 11 years of purely offline networking, this new interactive IIBN platform, for the first time, allows members within and across Chapters to connect online. IIBN Admin commented on IIBN Admin's blog post Welcome to the new IIBN Blog! "Get in touch with us if you would like to find out more about our Pods. " "Check out the logo in the bottom right hand corner!!!" On which (if any) of these IIBN Mentoring Programs are you (or have you been) a participant? I am 3 persons in the one God!